The whole Confederate flag thing isn’t solely a Southern trouble. Here in Washington state we have our very own Confederate park — run by a group that still believes, 150 years on, that the South was in the right. Now that South Carolina may stop flying its Confederate flag, and Mississippi could remove the charged symbol and even Amazon has stopped selling it, about the only place left to see the emblem of Southern resistance still proudly flapping in the wind is: here. Yes, oddly, here in Washington state. 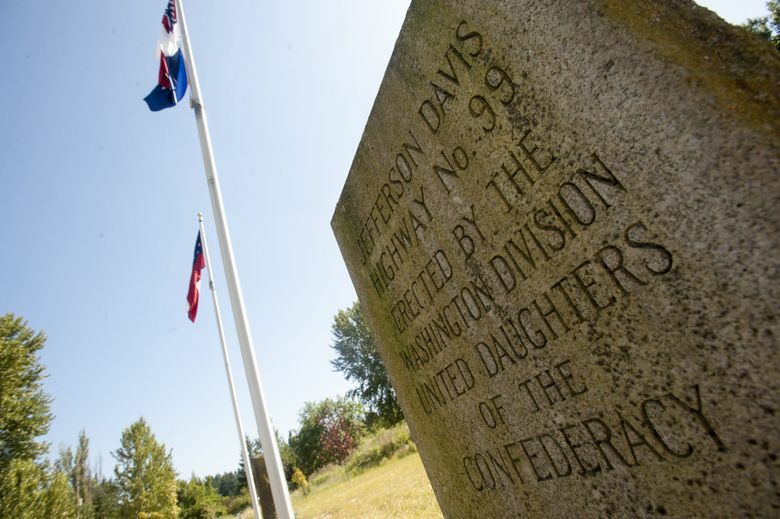 As northern as we are, for eight years now we have had our own Confederate flag park, next to the southbound Interstate 5 lanes in Ridgefield, about five miles north of Vancouver in Clark County. It’s called Jefferson Davis Park. It’s there to honor the only president of the Confederacy (though he never traveled here). I visited the privately owned park a few years back. I was in Vancouver to cover a town-hall meeting and heard that a new monument to the Confederacy had opened. Here? Now? Why in the world? I’ve long been drawn to roadside curiosities, so I pulled off the freeway to check it out. What stands out, though, is that whoever runs the park flies two flags. There’s a Confederate flag on one pole, and the old Betsy Ross Union flag, the one with 13 stars, on another. It’s as if the war is still on, at least in somebody’s mind. I stayed maybe two minutes. The park struck me as historically lacking, with almost no context about why it was there, and otherwise just strange. 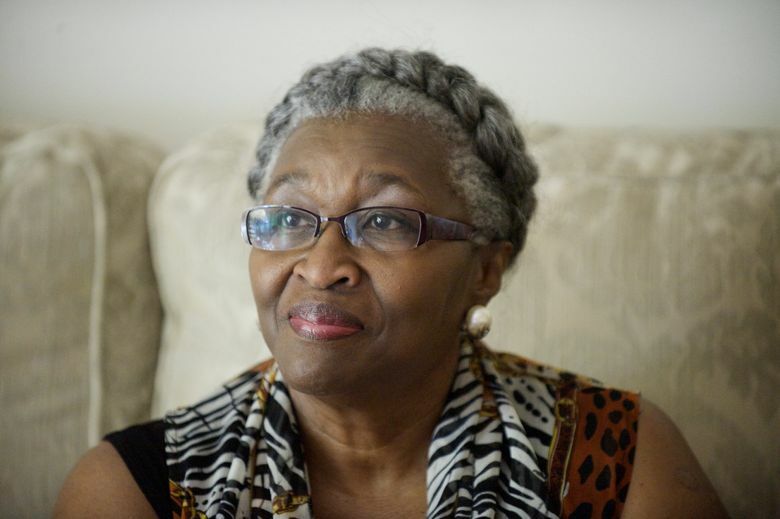 But here’s what the president of the Clark County NAACP, Marva Edwards, on Monday told The Columbian newspaper about what flashes into her mind when she drives by the park. This park is on private land, so they can fly whatever they want on it. 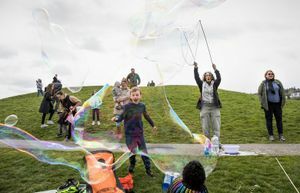 But it turns out what’s truly bizarre is that the group that runs the park, the Sons of Confederate Veterans Pacific Northwest Division, isn’t just honoring the war dead or keeping Civil War history alive. This group actively pushes that the South’s side in the 150-year-old conflict was the right side — still. “We will never give up on defending our heritage and the truth,” the statement continued. The group’s motto is: “Honoring and defending the Confederate soldier and the cause for which he fought” — the second part there sounding like a nod to white supremacy. The group insists its flying of the flag is not racist and that it’s been dragged wrongly into this debate by the shootings in Charleston. Still, why here, in the Pacific Northwest? I called Mr. Ernst to tell him the war was over but he didn’t get back to me. Seriously, isn’t it revealing that we’re still debating this now? It’s progress, I guess, that places like South Carolina finally are grappling with the message of subjugation that the old flag sends to African Americans. But something’s seriously wrong with us that it took 150 years to get that. I don’t think the flag should be banned. Amazon announced it would no longer sell them, though that seemed like public-relations spin because, clicking around Tuesday, it was easy to find Nazi gear on the site. You can’t sanitize history. But society can work to put it in some public and historical context. It’s tempting to think of these old wounds as just a Southern problem. But you can drive down I-5 and see for yourself that it isn’t.